It was really, really hot here for about a week, or maybe longer – every day it hovered around 114F/45C. I think the heat cooked some of my memory. All I know is that not much actual turn-the-stove-on cooking went on. But I had guests coming to dinner and just offering them a popsicle probably would seem cheesy, so I had to think about actual food. After looking at a lot of recipes for cold soups, this is what I came up with – a composite of several recipes plus what I had on hand. Sprinkled some salt over the whole thing and stirred it now and then for about 15 minutes. You don’t want this to brown, just soften. Then I let it simmer until all the veggies were very tender. 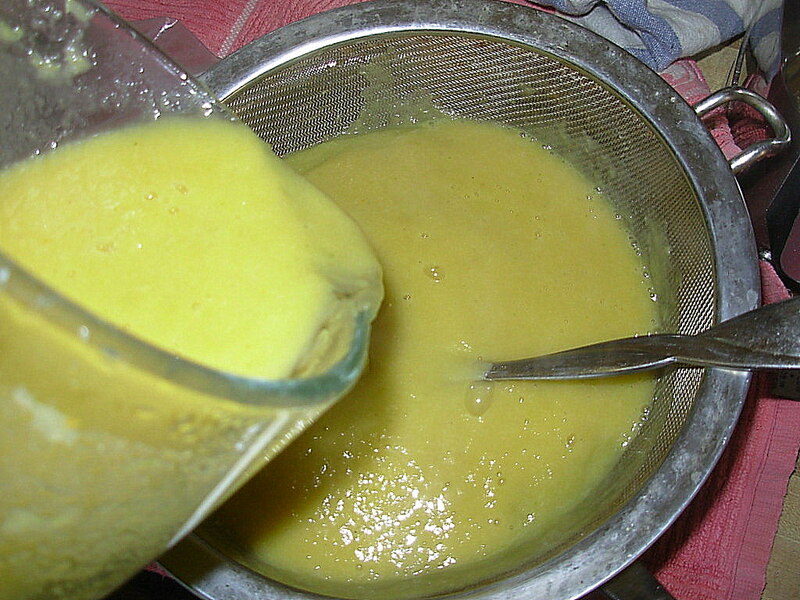 I needed to puree it, so at first I used a stick blender, which was pretty useless for larger pieces of vegetable. In the end, I used the blender to puree it. 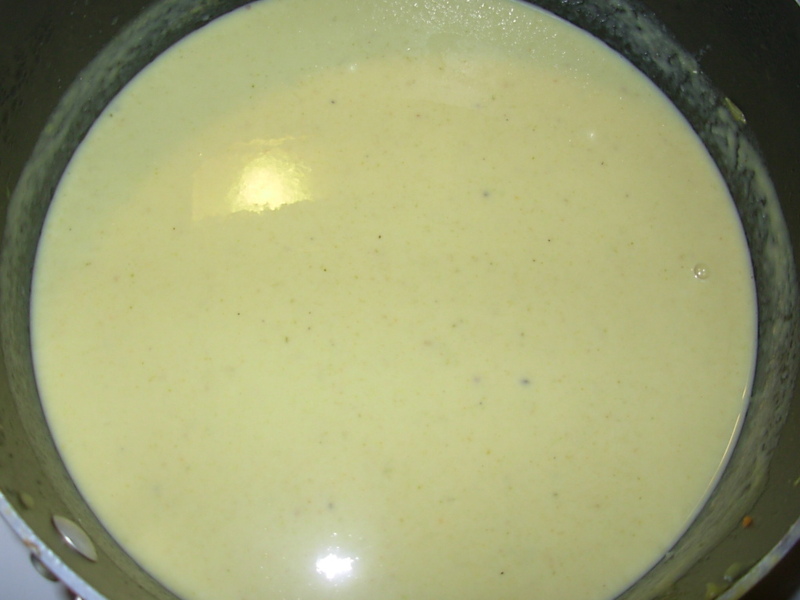 Had to do a couple of batches – pouring the pureed soup into another container as I went. Then I needed to strain it to get the celery strings out. I tried putting it through a wire colander, which probably would have worked if I had all day and an infinite amount of patience to sieve the whole thing, but I didn’t. Trying to push this through the sieve was like trying to push Jello through a keyhole. 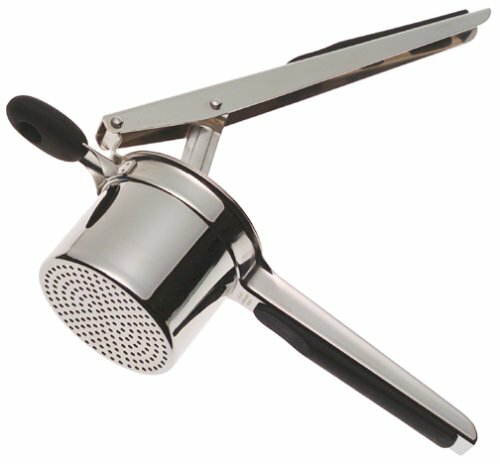 Like a really large garlic press. They are fabulous for this sort of thing, as well as making riced potatoes – if you’re an fanatic about lump-free potatoes, this is what you want. I poured some soup in, pressed it through – and the celery fibers stuck to the bottom of the press. I was able to easily scrape them off and discard them. I added some half-and-half plus salt and pepper, poured the soup into a pitcher, and put it in the refrigerator until time for dinner. The pitcher made it easy to pour the soup right into bowls (which had been in the freezer) at the table, then sprinkle with chopped cilantro. 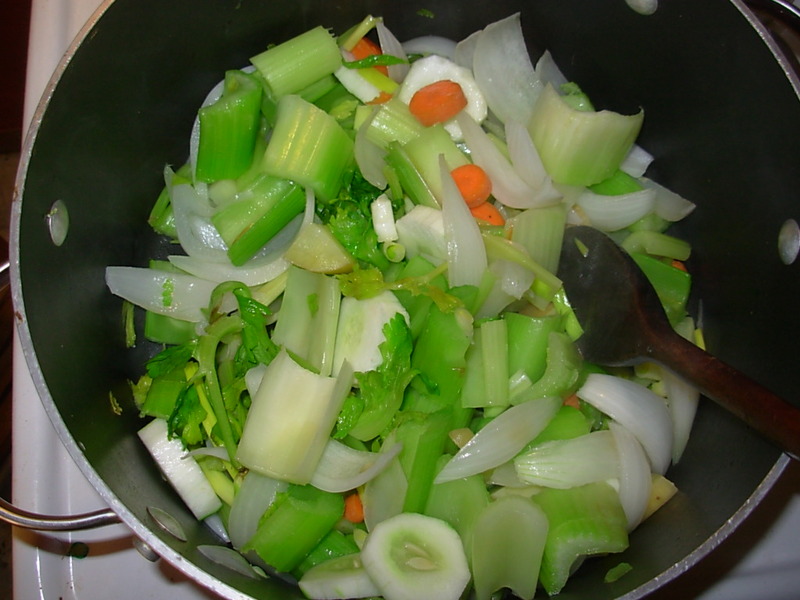 The soup had a mild, pleasant celery taste and a lightly creamy consistency. This made enough for seven servings. The same method could be used for spinach, asparagus, zucchini, carrots, and so forth. The only thing to remember about cold soups is that cold tends to dull flavors, so it’s necessary to add a bit more seasoning than if the soup were served hot. 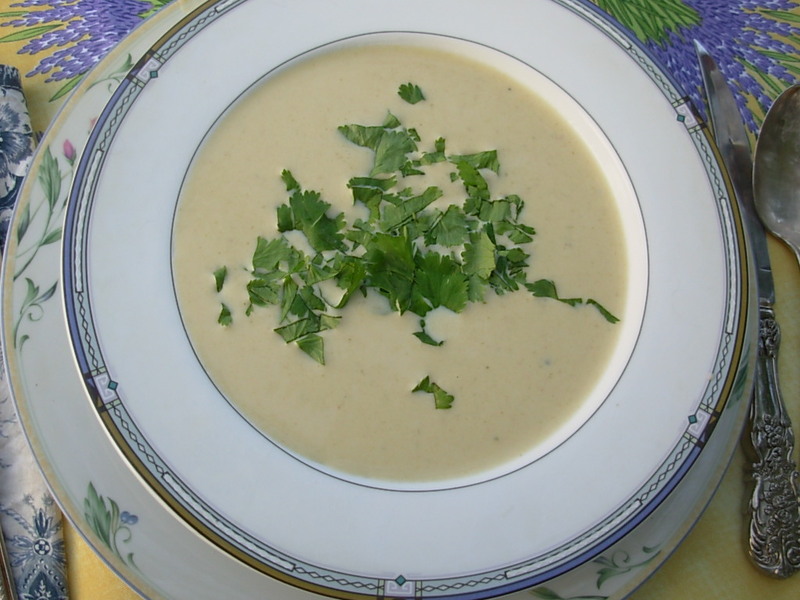 For a richer soup, heavy cream or heavy cream + creme fraiche could be used. I wouldn’t use butter in this to saute the vegetables because it would solidify when the soup was chilled. Next time I will make a gremolata to be sprinkled on top. That is a mixture of finely minced parsley, lemon zest, and garlic, and which goes really well on lots of foods – sauteed fish or chicken, steamed green beans, pasta, toasted French-type bread, salads… and so on. I’m sure this isn’t unique to my mother. It’s really a kind of quick pickle (say that three times real fast) and probably versions of this go back to antiquity. 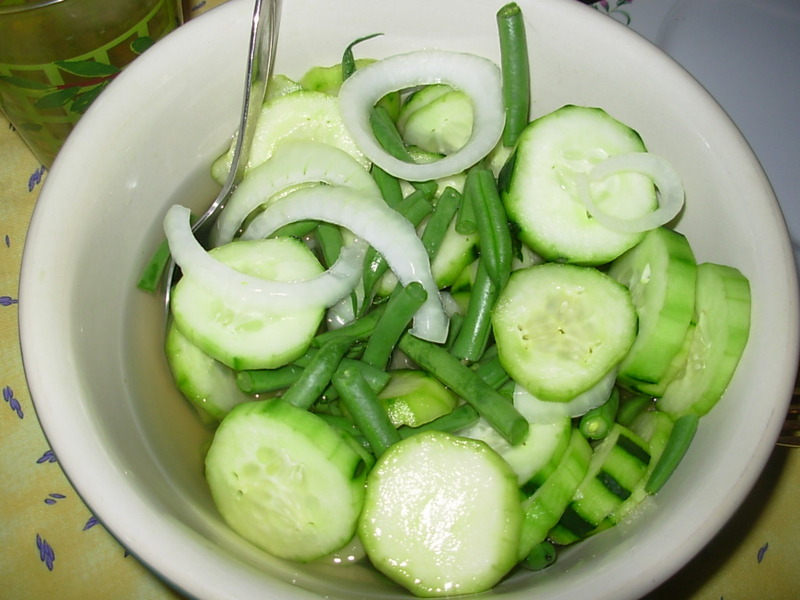 It’s very easy and makes a refreshing salad on a hot day, and is good the second and third days too. Make a simple syrup: mix 1/2 cup water and 1/2 cup sugar in a small pan. Bring to a boil to dissolve the sugar, then let cool. (Alternatively, stir sugar and water together like crazy to dissolve sugar.) Add 1/4 cup vinegar (I like apple cider vinegar for this, but use whatever you like) and 1/2 cup water, stir, and taste. 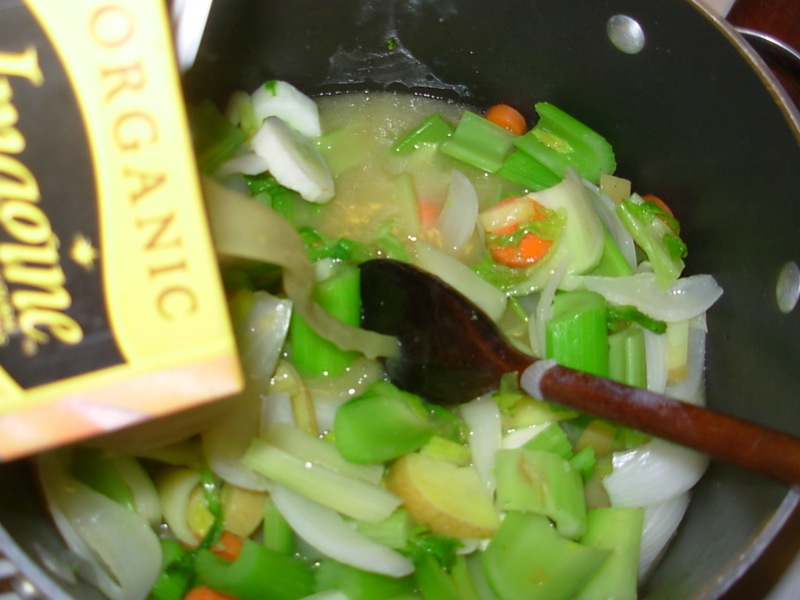 You should have a definite sharp sweet-sour taste; if not, add more vinegar/water/sugar as needed. When it’s to your taste, pour into a serving bowl. Now add vegetables of your choice. Peeled and sliced cucumbers, of course, but also consider sliced onion, bell peppers, green beans, asparagus, summer squash, thinly sliced cabbage, carrots… whatever you like. Add a hot pepper if you want a spicy salad. Toss veggies in the dressing, then put bowl in the refrigerator until ready to serve. I like to make this at least a couple of hours in advance to let the brine soak in.